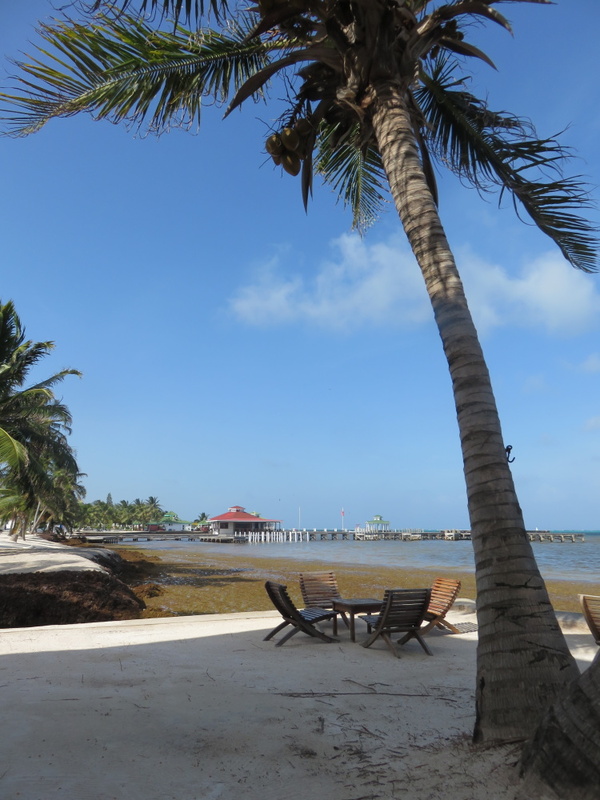 It is August in Belize. Well…it’s August everywhere and that, for those of us in the Northern Hemisphere, is the hottest month of the year. The temperature here is in the high 80s – from when you wake up in the morning and to when go to sleep. The humidity is 80% or higher…and it’s just plain steamy. 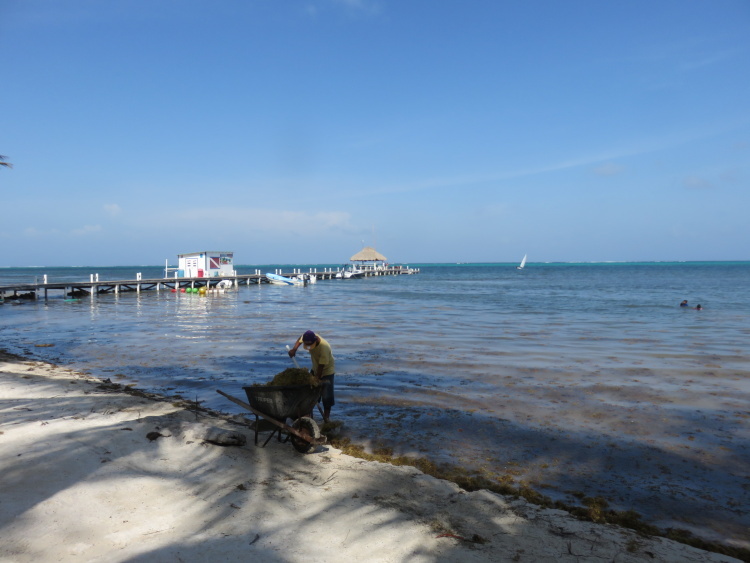 And in San Pedro, like the Yucatan and Cancun, we are seeing a steady influx of Sargassum seaweed. Even resorts that were getting a handle on it and working 12 hours day are getting bogged down. The world’s MOST refreshing beverage. Iced tea? Yeah…pretty good. Gin and tonic? Meh. THIS IS WHAT YOU WANT TO BE DRINKING ON A HOT DAY. And the beauty is that it is SO easy to make. 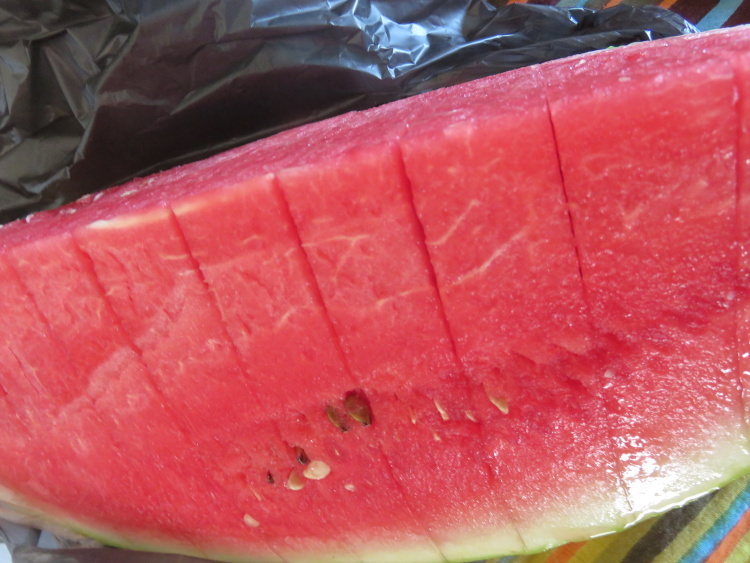 Everyone buys a huge watermelon in the summer…it’s on sale and just seems like a great idea. And you and the family feast on the big juicy slices one weekend and then half the watermelon gets relegated to the back of the fridge. And it starts to go soft on the edges. Throw it out? Good grief NO! Watermelon. Juice. Here is how I prepare it. And how you must try it too. The United States for some CRAZY reason is basically devoid of this blended bliss. And also, feel free to laugh at my very sad attempts to be like a real food blog (like my favorite Smitten Kitchen…where everything looks perfect). I find cat hair adds just that je ne sais quoi. 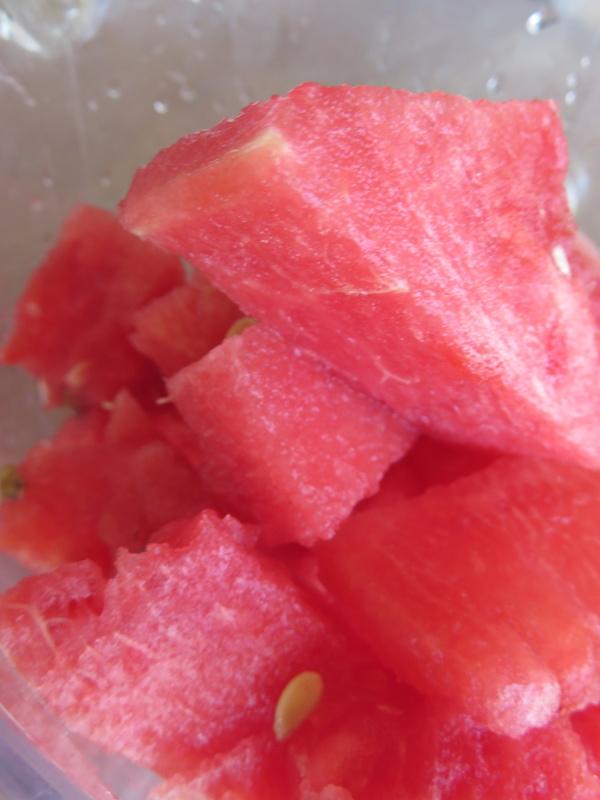 Extract that watermelon slab from your refrigerator. Or buy a slice at the market. Mine was $4.50bzd. Chop her up and throw her in the blender. My SUPER CRAPPY blender can hardly blend a stick of warm butter…so I need to both chop and then smush down a bit. 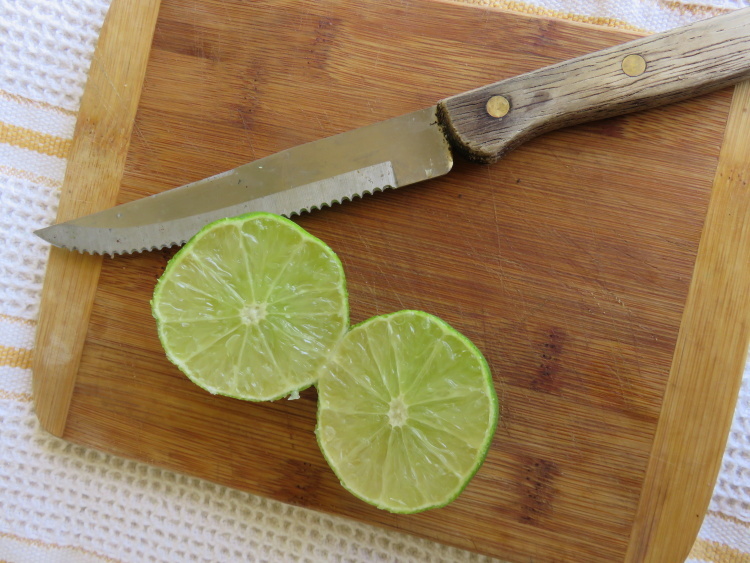 You can add lime…a little or a lot…or how I like it…ginger. 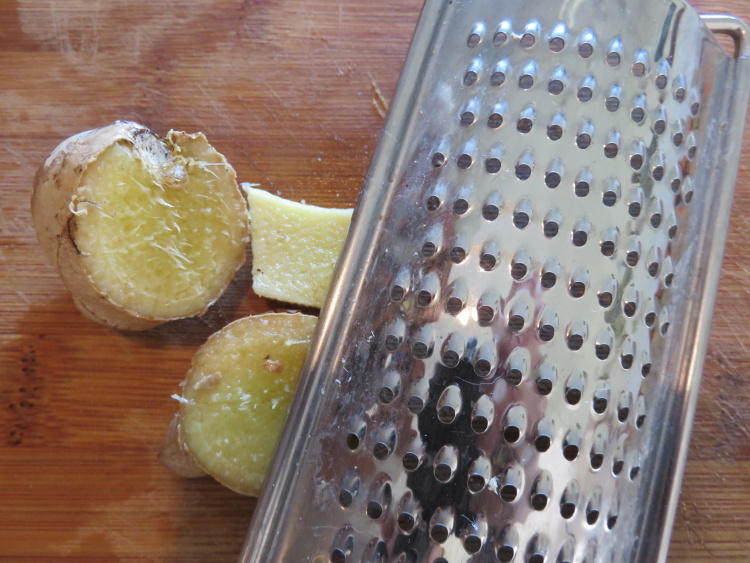 Again, my blender is CRAP so I need to grate it in there. 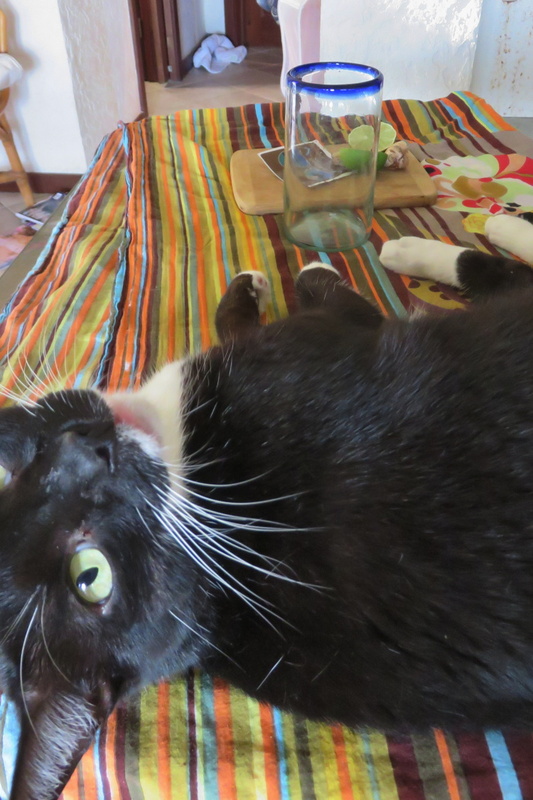 Take a momentary break…and return to find annoying cat in your staging area. Clearly I am not being taken seriously. Scram. 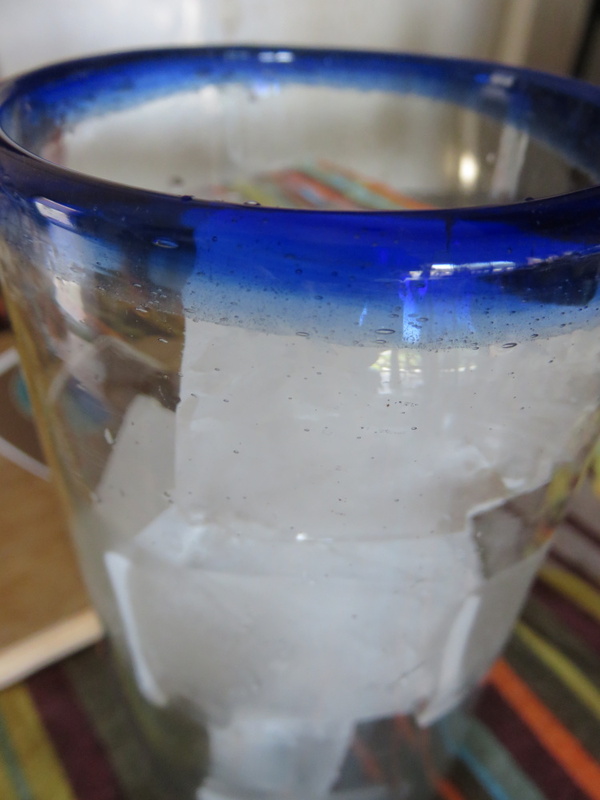 Fill glass with ice. I like to make it a watermelon spritzer. It’s heaven in the heat. Just look at this “Watermelon Spritz” color palette I found online. You feel cooler already. Right? 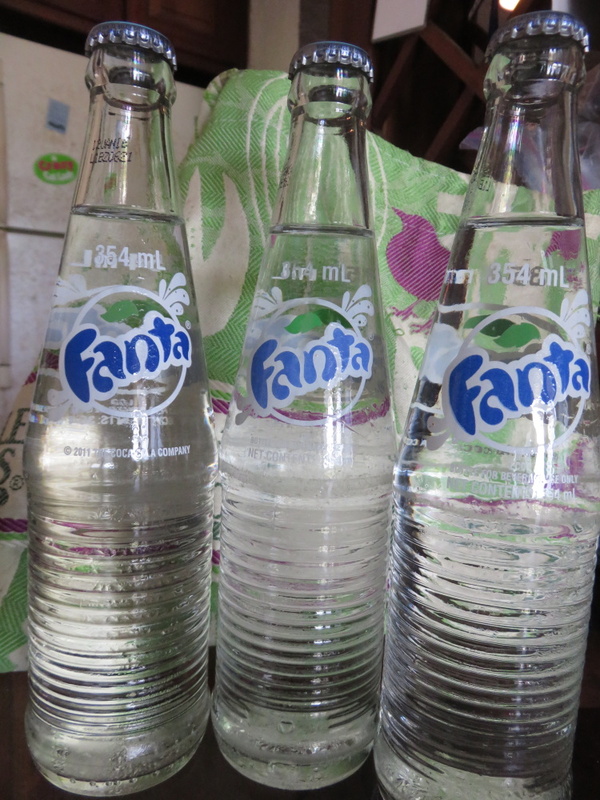 I top off my juice with Fanta soda wata – also known as club soda or seltzer – but always called soda wata in Belize. It’s the fanta blue top. And there you go. The most thirst quenching drink on earth. I have NO idea why it is not served widely in the states. It stores beautifully in the fridge, covered, for a few days. It may separate a bit but just stir. And I’m guessing there is no way it will last that long. You could strain the seeds out but generally they are pulverized and…we could all use a little extra fiber. Add mint. Add cucumber. Add coconut water. It’s all divine. I am sure that a bit of rum or vodka would also be delicious. Gin and cuke? You can go nuts. I end with a picture of my friend Julia’s cocktail she posted yesterday. 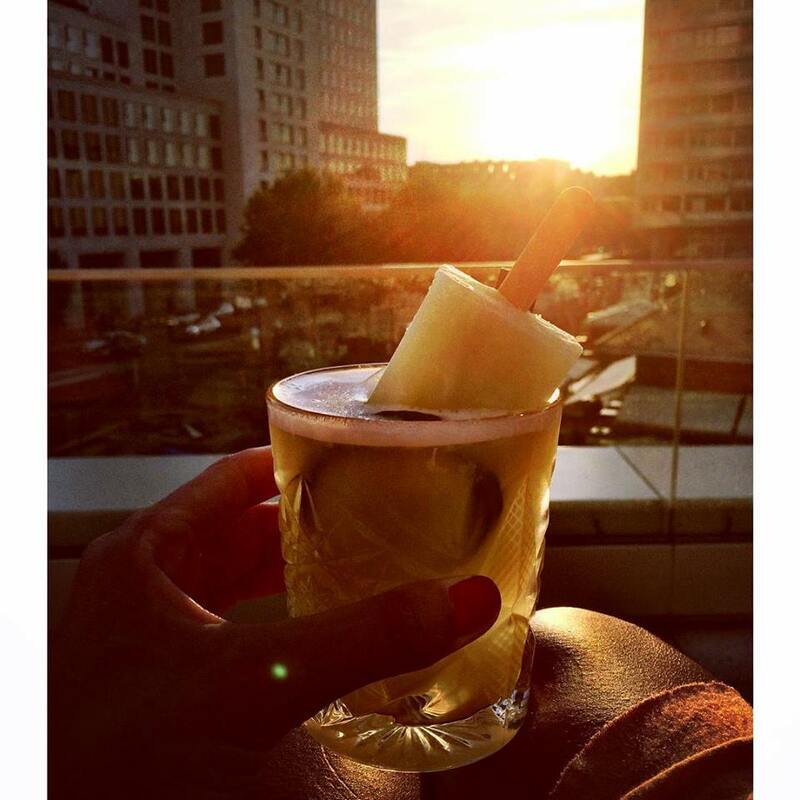 An end of day drink with friends on a rooftop in Berlin. A cocktail with a cucumber paleta. Sigh…why not turn your watermelon juice into ice cubes…or ice pops? Or…you can just pop over to San Pedrano Store on Front Street in town and…quickly run over to Lola’s Pub and enjoy. 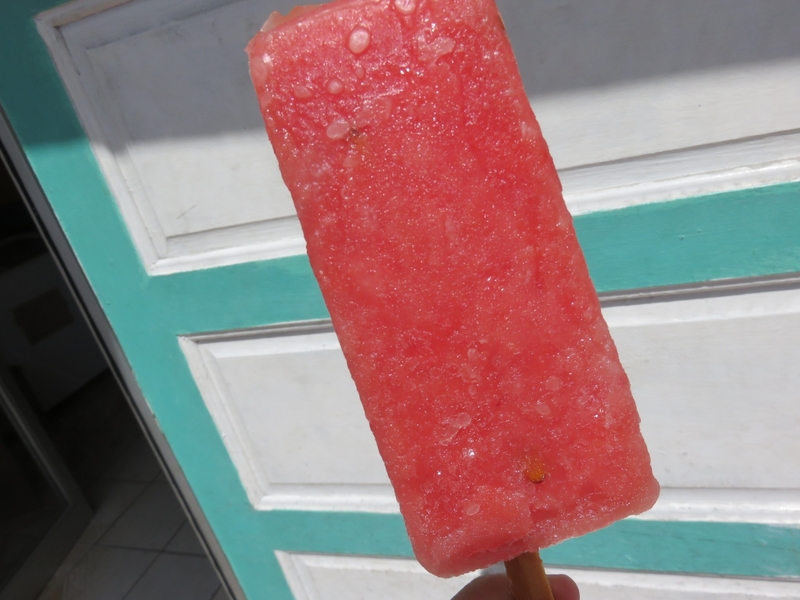 Or a lime paleta in a beer or…hmmm…we might have something here. That’s it from me. 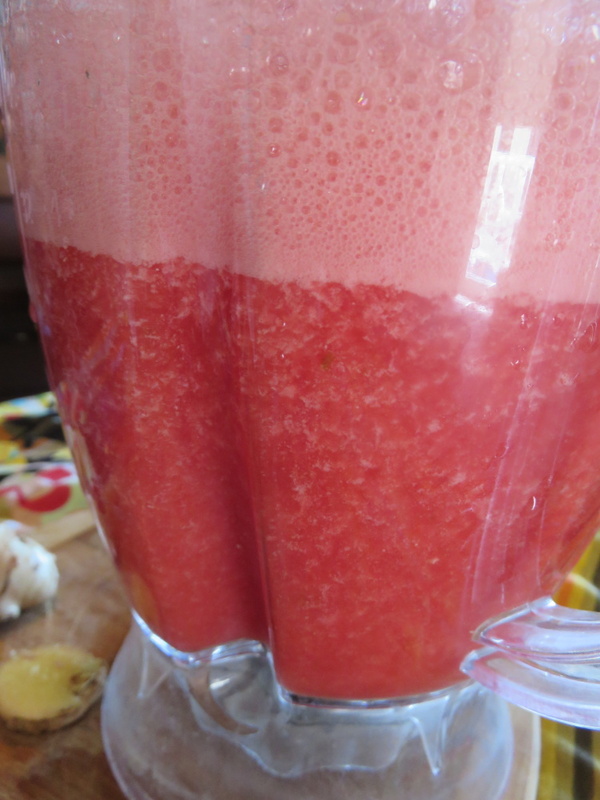 The world should be drinking watermelon juice in large quantities. Especially in August. PLEASE let me know if you have any of your own blends that I should try. Yum! I always wondered about what to do about the seeds. Pulverize ’em, really? 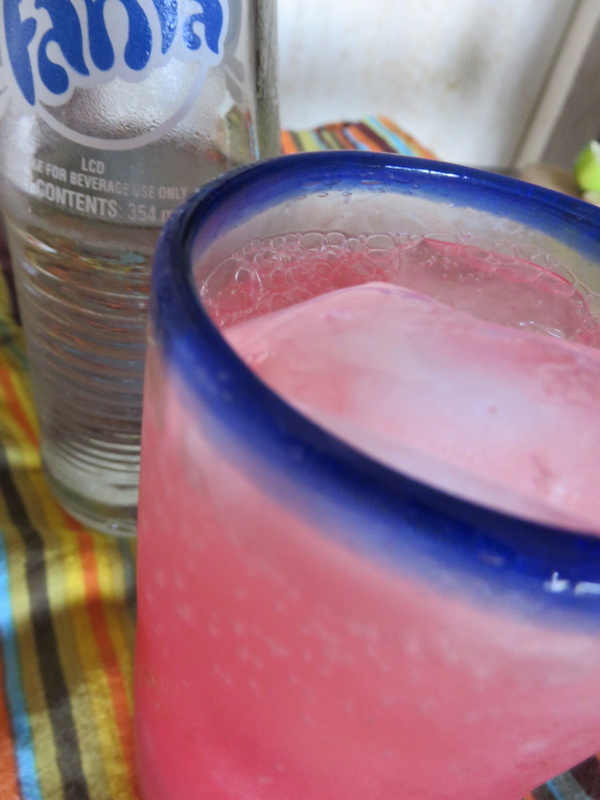 I do love watermelon juice, and I can attest to mixing it with fresh lime juice and white rum being a PERFECT watermelon daiquiri!